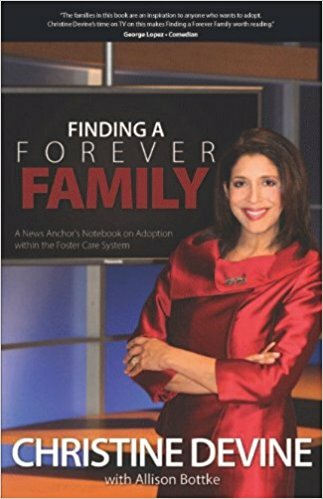 In this moving memoir, anchorwoman Christine Devine shares her fifteen-year journey reporting on children in the system and the families who adopt them. Christine is in the know as her own parents fostered and adopted. An estimated 500 children who have aired on her newcast have found forever families. She speaks from her heart on the struggles, disappointments and doubt that can ome with children who have been so traumatized. Through Finding A Forever Family, see how Christine is transformed by these amazing adoptive families who share their unmatched joys, unexpected rewards and life-changing lessons.